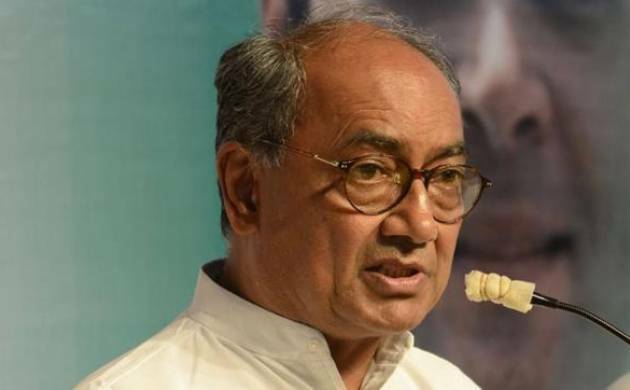 On the eve of Narendra Modi government’s second anniversary in the office, senior Congress leader Digvijaya Singh claimed the NDA dispensation has failed to achieve anything substantial and industries are facing a “disaster”. Industries facing disaster, says Digvijaya Singh on Narendra Modi government’s second anniversary. “The Narendra Modi government is completing two years in office but no achievements are visible anywhere. The economy is passing through a phase of slowdown and industries are on the verge of a disaster,” the AICC general secretary told reporters here after campaigning for Ghodadongri Assembly bypoll in Betul district. The by-election is slated for May 30. Referring to just-concluded Ujjain Simhastha Kumbh mela, he alleged the religious fair was marred by “corruption”. “I purchased an earthen pitcher for Rs 100 from Shahpur here while the state government bought it at a cost of Rs 750 each. In my tenure (as chief minister) Rs 350 crore was allocated for Simhastha, but Madhya Pradesh Chief Minister Shivraj Singh Chouhan’s government is stating that it has spent Rs 4000 crore on it (the fair),” he claimed. Alleging that BJP is “not running the government” in the state but is “actually doing business”, the veteran politician said the state government “is being run by mafia, suppliers and contractors”. Reiterating his position on the 2008 Batla House encounter in Delhi, Singh said, “I still consider it fake. How is it possible that five bullets hit someone on his head only?” However, Singh added that he did not know whether those killed in the encounter were terrorists.“But it is my observation it was fake,” he remarked.